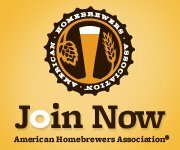 I have been curious about the effect of fermenter material on the flavor/fermentation of beer, but never did a controlled experiment to determine whether it actually made any difference. Until now! A few weeks ago I brewed a 10-gallon batch of Northern Brewer’s Fresh Squished IPA that I got an AMAZING deal on. 5-gallon all-grain kits were only $18 each, with free shipping! I highly recommend checking out Northern Brewer regularly because they’re always doing an awesome deal on something! At the end of the brew day, I split the cooled 10-gallon batch into 5-gallons in a glass carboy and 5-gallons in a plastic fermenter bucket. I pitched one full packet of Safale US-05 in each and sealed them with a standard airlock. Both vessels were stored together in a dark room for primary fermentation for 2 full weeks. 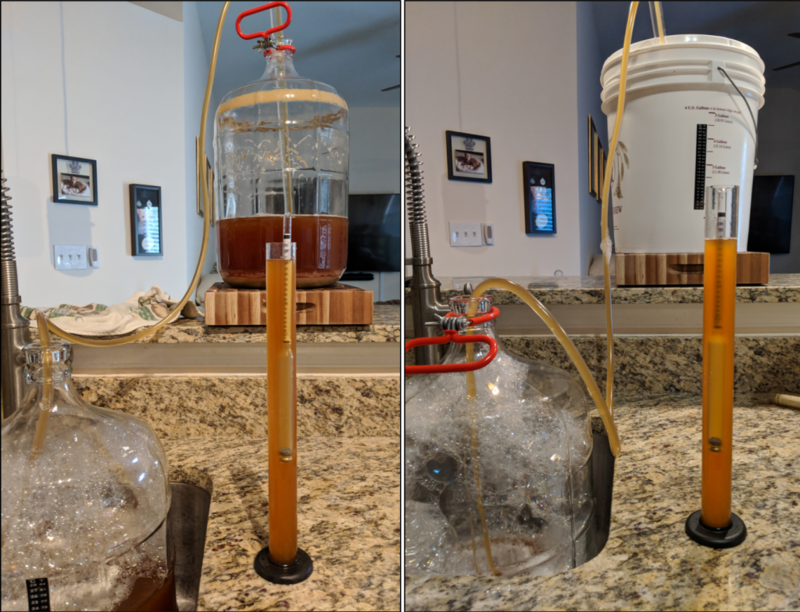 I had vigorous fermentation within about 14 hours of pitching, and both fermenters and fermentation appeared to consistently be at the same rate in both containers. Fermentation slowed in the first week at a consistent rate between both. The only difference I think I detected was a slight scent difference coming from the airlocks. The glass carboy had a very slightly skunky flavor that made me a little nervous that there would be a difference between the two. At the 2-week point, I racked the glass carboy batch into another glass carboy, and then racked the fermenter bucket batch into a glass carboy. Both had identical gravity readings at 1.012, and the exact same color. The flavor was identical as well, and I can say that at the point of transferring to secondary fermentation, there was no difference whatsoever between the two batches. As an aside, the flavor was spectacular. It’s not even done fermenting, it has not been dry hopped yet, it was warm and uncarbonated, and I still enjoyed every sip of the sample I took from each batch. I’m looking forward to having a couple of kegs of this on hand! Have you noticed any difference based on fermentation vessel material? Leave a comment below, or head to the forums and discuss it! 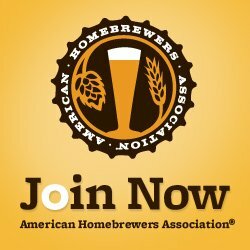 I have done primary in plastic and secondary in glass as well as both primary and secondary in glass and I have never been able to tell any difference in the beer either.